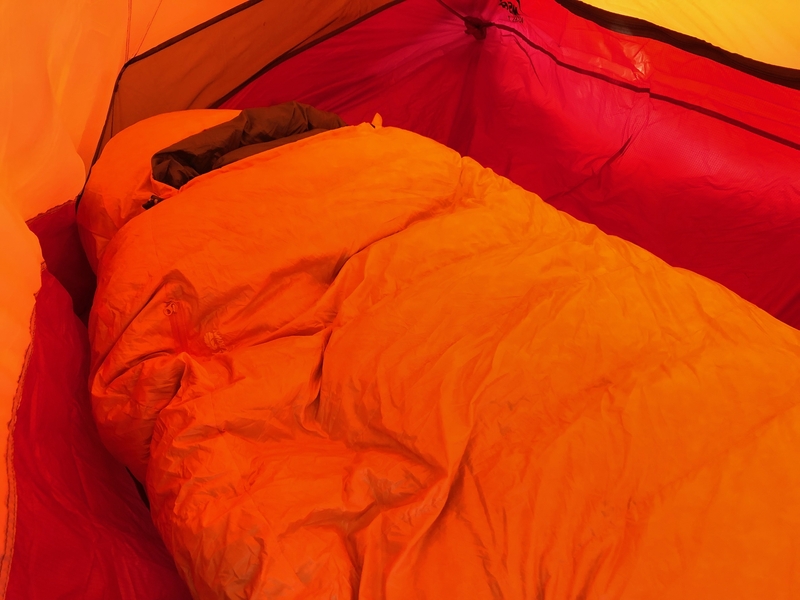 The Therm-a-Rest Oberon is Therm-a-Rest’s newest zero-degree sleeping bag, weighing in at 2.5 pounds. This bag has all the trappings of a protective sleep system, including a 20D DWR shell fabric, deep hood, generous draft collar, and piles of 800-fill treated goose down. On top of being a high-quality zero-degree, the Oberon is pretty. Check out that gradient folks. This might be one of the most attractive pieces of gear I own. Anyway. 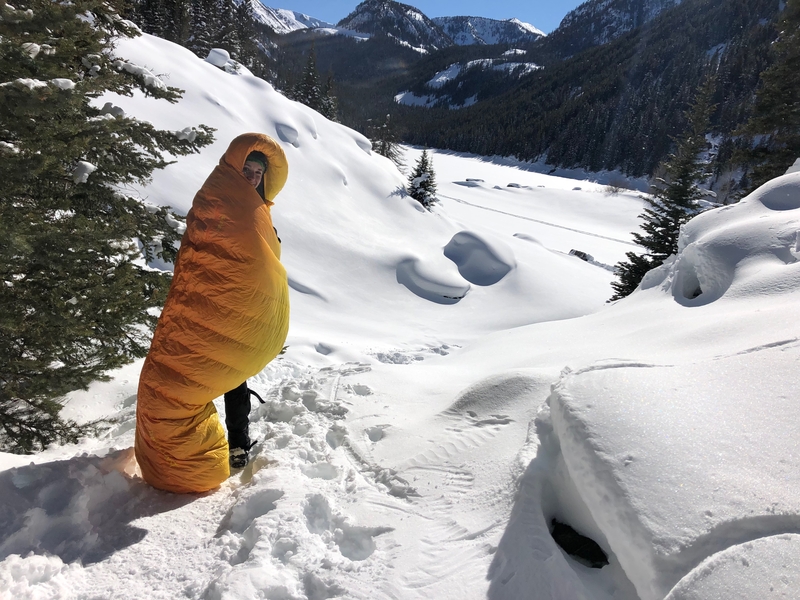 Here’s my rundown on the Therm-a-Rest Oberon, the lightweight, packable, zero-degree member of the Therm-a-Rest sleeping bag line. Down loft: The Therm-a-Rest Oberon uses 800-fill treated down, meeting the Responsible Down Standard. I wouldn’t go less than 800-fill for a bag with this much down, but I was pleasantly surprised as how small it packed. Hood: Adequately deep for heat retention, and comes with a simple-to-use cinch. The drawcord is easy to maneuver and doesn’t slip out once you have it tightened. And as a bonus, when you start panicking because you turned your head and can’t find the tiny face hole you left yourself, it’s easy to maneuver back out before suffocating! 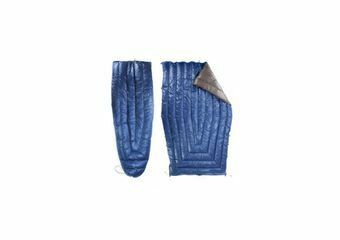 Zipper: The zipper is sturdy and has a longish cord, making it easy to grasp with mittens on. Situated on the left side of the bag. 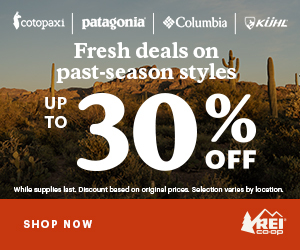 DWR-Coated Face Fabric: The face fabric (or shell fabric) is a hefty 20D Polyester Ripstop. I’m a mummy bag person, so I never feel constricted in full-zip sleeping bags. When the weather is colder I tend to scrunch when I sleep, and this bag felt like it had plenty of room for my knees to squish up. I’ve had issues with regular-size mummy bags being too big and requiring too much thermal energy to heat, but this bag fits well for my frame and height. It comes in three different lengths as well. The Oberon packs small. I had it pretty easily packed down to the size of a volleyball (approximate… I do not participate in The Sports) which is clutch for a zero-degree bag. I used a 10L Sea-to-Summit compression sack like this one. Once removed from the stuff sack, it lofted beautifully with a few shakes. 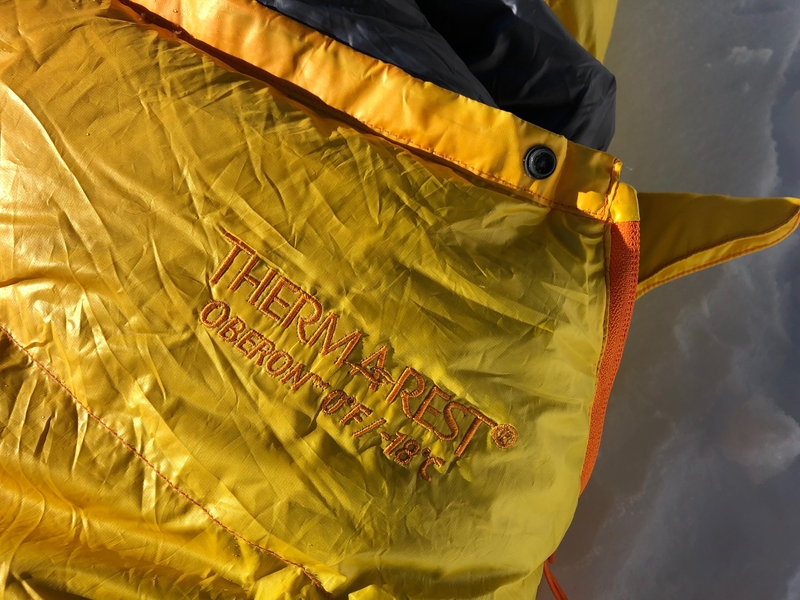 Therm-a-Rest has done a terrific job optimizing for not only the cold, but dampness, condensation, and snow contact—this really is a cold-weather bag. 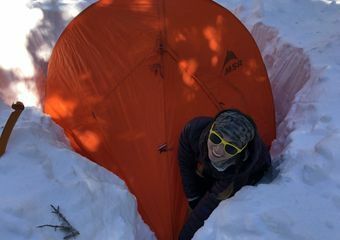 Winter camping means you’ll be out in the snow, and at some point, everything you brought with you will be on the snow. Having a DWR-treated shell and hydrophobic down takes some stress away from getting this bag wet. As I mentioned, both the exterior and the fill are treated for water repellency. The shell is DWR coated, and the fill is Nikwax Hydrophobic Down, one of the most effective down treatments on the market and utilized by companies throughout the outdoor industry. My tent collected a fair amount of condensation during several trips. The bag was affected in a variety of ways, from water beading on the shell to actually soaking through. The latter example was one extreme night with wet snow and a high level of condensation on the tent walls, but the down never wetted through and I stayed warm throughout the night. The temperature ratings of sleeping bags can be somewhat misleading. First, everyone sleeps differently. One person’s comfort zone has the next donning a puffy coat and crying. Know your own body—do you tend to sleep hot or cold? Modify your sleep system choice and temperature rating from there. Second, the rating listed in the model name is the tested lower limit. The comfort rating will fall 10-15 degrees above that. For example, the tested lower limit for the Therm-a-Rest Oberon is 0 degrees, the tested comfort limit is 14 degrees, and the Definitely Don’t Go Under This Temperature is -40, which is when the bag will cease to protect you from the elements. That said, I took this bag out when the temps dropped below zero overnight, and I threw a hat on and felt fine. Do I Need a Zero-Degree Bag? If you’ll be doing a lot of winter camping, live in a cold climate, or sleep chilly, then yes. A zero-degree bag is really nice to have in your arsenal. However, a winter bag probably won’t be necessary for most people’s backpacking setups. If you’re thru-hiking, there will be nights you wish you had a zero-degree bag, but those nights can be survived with a hat and an extra layer. Sleeping bag liners are also clutch, allowing most people to get away with something around a 20-degree bag. 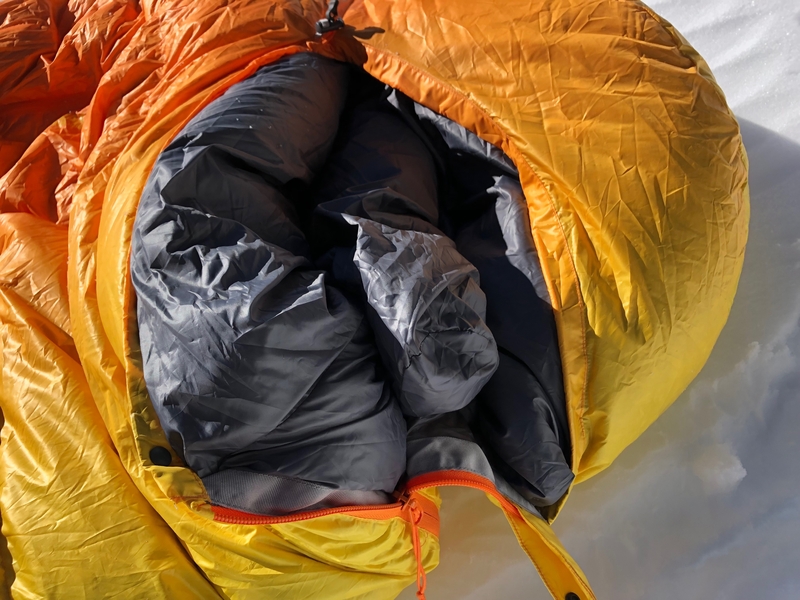 Iff you can afford to have more than one sleeping bag in your setup, a lightweight zero-degree bag is great for the coldest sections of a thru-hike or shoulder-season trips at higher elevations. I use zero-degree bags during winter and shoulder season in Montana, and often on trips where we’ll be camping at or above 9,000 feet. The weight penalty for the Therm-a-Rest Oberon is about 19 ounces heavier than my Enlightened Equipment Revelation, and 11 ounces heavier my Feathered Friends Petrel UL 10. Having the extra 10 degrees of warmth and added protection on the face fabric is worth it in this case. As an aside, I disagree with the warmth rating on on the EE quilt and I don’t take it out if the forecast calls for anything lower than 32F, but that’s up for debate elsewhere. The bag provides a good fit without too much space to heat up, all while not feeling feeling constricting. The burly shell fabric repelled condensation from the tent interior, protecting the down, and the hood and draft collar keep the cold air out. It’s warm, fits well, is lightweight, and packs small. Having treated down is also a stress reliever for trips where getting wet is a concern. Compared to other bags on the market, it is a good value with high-quality components and has proven extremely durable this season. The snap that secures the zipper felt prone to popping when I turned or put pressure on the top of the bag with my shoulder. Minor inconvenience, but having your bag come unzipped isn’t ideal. The caterpillar look is so hot right now. 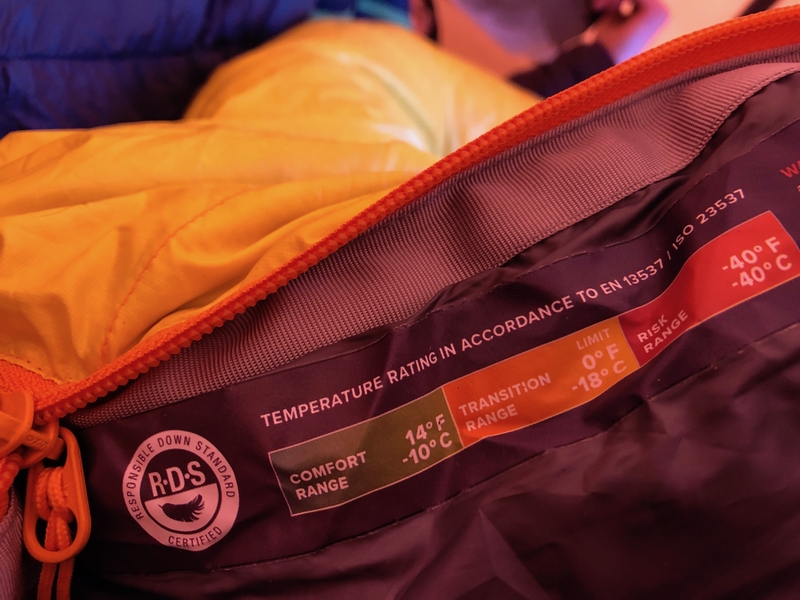 Therm-a-Rest has one bag with a warmer rating. The Polar Ranger is rated to -20 degrees, weighs 3 pounds 4 ounces, and retails for $699. The Hyperion is their 32-degree bag. It weighs 1 pound and retails for $349. I’ve used this bag before—it’s sleek, simple, and extremely packable. This bag comes in around $100 less expensive than other zero-degree bags, which could be partly due to use of 800-fill down as opposed to the 850-900+ we’re seeing more of these days. 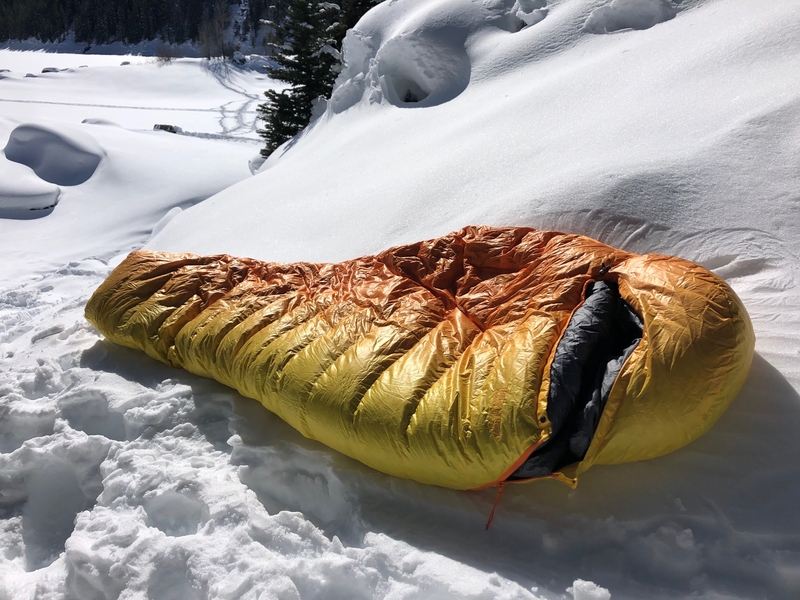 The Oberon is packable, warm, and I haven’t experienced any loss of loft or down this past season, which gives me great hope for its long-term durability. 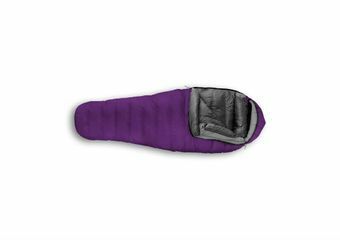 Overall, Therm-a-Rest’s line of sleeping bags are durable, straightforward, meet their temperature ratings, and are fairly priced.